In the spirit of doing random things just for the hell of it, 10mfH presents a FREE Handwritten font for you to use! 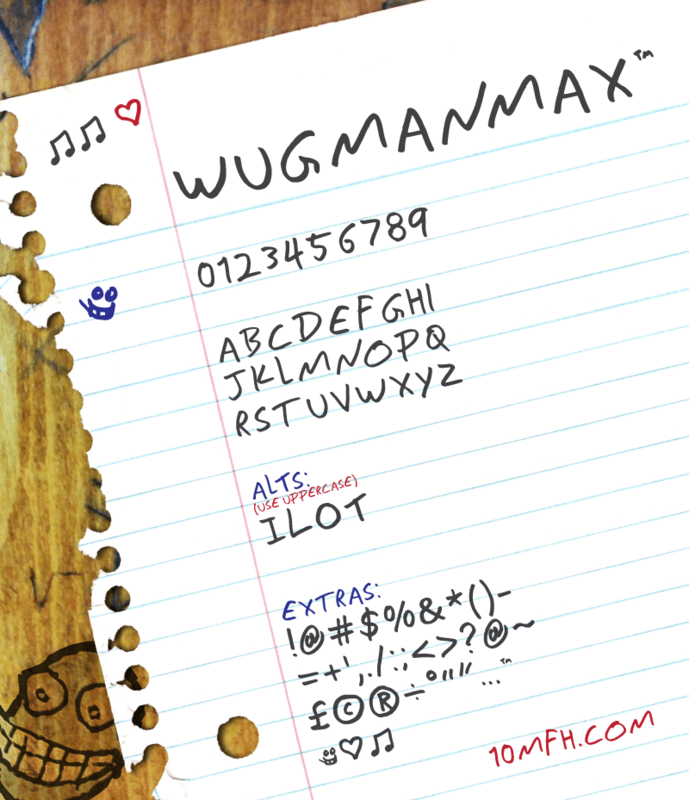 Wugmanmax-Regular is a handwritten font that is 100% free to use. While it might be OK in word processing programs, for best results you will need to hand kern the lettering using a design program like Adobe Illustrator or Indesign. The font design program I used limited the number of characters that I could include. Did you use this somewhere? Send me a link or picture! I’d love to see what you do with it!